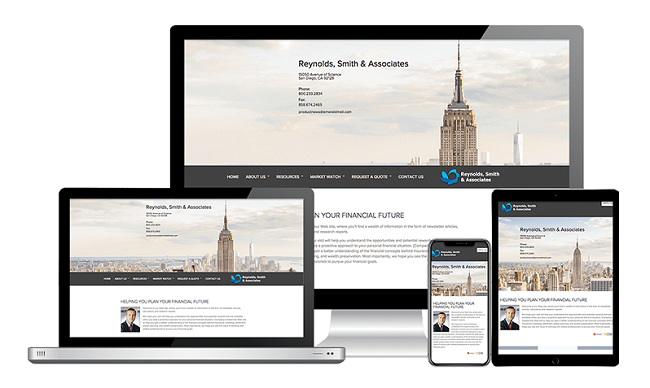 Engage new prospects and enrich existing relationships with a professional website that reflects your brand. Now you can create and easily maintain a high-quality advisor website to boost your digital marketing strategy. Interact with your clients and prospects and maximize your website ROI. With our robust library, you are able to leverage your website as a go-to resource for your clients. Our professional, easy-to-digest content is FINRA-reviewed and ready to publish. These timely updates keep your prospects and clients coming back to your website for more, increasing your business building potential. Select from three initial set-up options to receive the level of support that works best for you and your practice. This required phase ensures your website captures your brand and is built for success.